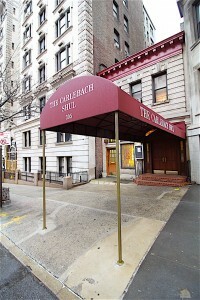 Congregation Kehilath Jacob, known as the Carlebach Shul, is an established landmark of Manhattan’s West Side. It is certainly one of the most unique synagogues in New York City, possibly in the world. From the founding of the synagogue in the 1940’s, the Shul has been in the same location, 305 West 79th Street. This unique building has become infused with over 50 years of loving prayers and Torah learning. Rabbi Naphtali Carlebach was a leading Rabbi of Berlin and later Baden, Austria, who emigrated with his family as a result of Nazi tyranny. Rabbi Naphtali assumed the spiritual leadership of the Synagogue in the year 1945. After Rabbi Naphtali died in 1967, one of his twin sons, Rabbi Shlomo Carlebach, succeeded him. Rabbi Shlomo maintained the spiritual leadership of the congregation while traveling world-wide to share his joy, music, and teachings. In the early 1980’s his brother, Rabbi Eli Chaim joined him. This partnership in the spiritual leadership of the Shul enabled the pulpit to always be graced by one of them, until the death of Rabbi Eli Chaim Carlebach in 1990 and Rabbi Shlomo’s death in 1994. At that time, Rabbi Shmuel Chaim Intrator, Rabbi Shlomo’s assistant, led the Shul until 2000. 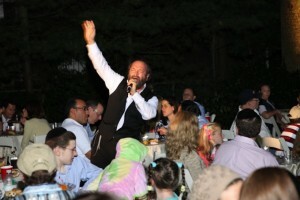 The influence of the Carlebach Shul goes beyond its New York home. The Carlebach Shul is particularly unique in simultaneously being a neighborhood Shul and the center of a world-wide community. It receives and welcomes a constant stream of visitors from all over the United States and the world. The uniqueness of the Carlebach Shul is transmitted all over the world by the message of Shlomo Carlebach. The Carlebach Shul is the physical presence of a spiritual movement whose message transcends New York City. Presently, the Carlebach Shul services the West Side community with its ongoing activities. The facility will continue to serve as a shul while expanding to become the center of communication and administration for the worldwide Carlebach community.